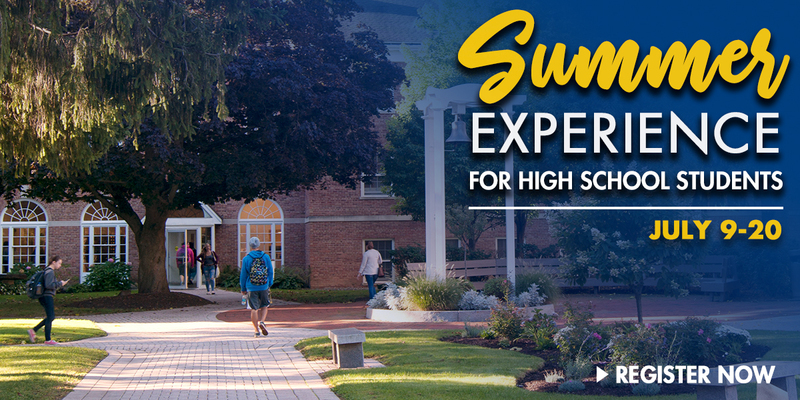 Cazenovia College announces its Summer Experience program for high school students set for July 9-20, providing an opportunity to earn three college credit hours for taking an exciting course during two weeks of summer break. Each course offered will have highly individualized instruction from College faculty. Students will be engaged in their course at Cazenovia College for approximately six hours a day. Upon successful completion of the course, students will receive three college credits. Credits earned can be applied to full-time studies at Cazenovia College and may be eligible for transfer to another institution. Take advantage of this opportunity to develop a college-ready portfolio and learn about the wide range of art and art-related careers available to you. You will work in a community of fellow artists to develop technical and conceptual art skills, strengthen your college portfolio, build friendships, and experience college life! You will literally get your hands dirty learning how to excavate and analyze artifacts, as well as classroom and laboratory classes on how archaeology and its many tools work. We will go out into the field and visit archaeological sites, laboratories, and museums around Central New York. High school students will develop skills, knowledge, mindset, and global perspective to succeed as an entrepreneur. You will work individually or in a group to strategize and develop a pitch-ready business plan. You will explore the many hidden secrets and industry best practices of starting a business. Balancing classroom instruction, role-playing, and practical exercises, moot court helps you learn the basics, while experiencing what trial work is all about. You will finish the session with a moot court competition finale of a criminal case in a real courtroom before a panel of judges who will critique your performance and give sound advice. Students may choose to participate in the residential ($1,200) or commuter ($800) option; however, all students are invited to participate in campus activities including games on the Quad, movies, and an ice cream social. Students will also have access to the campus fitness center and pool. Cazenovia College's Summer Experience program provides high school students with a rich and diverse learning environment. It is a great way to get a taste of the college experience, while studying in a beautiful community including the lake and surrounding area. For more information, go to http://www.cazenovia.edu/summer-experience.